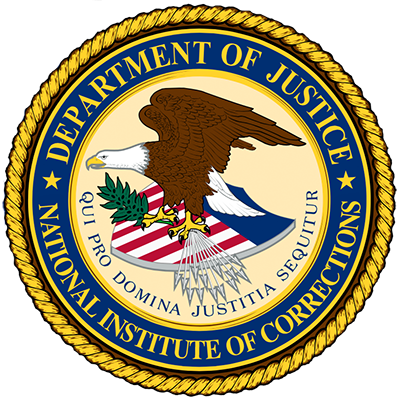 “This white paper presents a shared framework for reducing recidivism and behavioral health problems among individuals under correctional control or supervision—that is, for individuals in correctional facilities or who are on probation or parole. The paper is written for policymakers, administrators, and practitioners committed to making the most effective use of scarce resources to improve outcomes for individuals with behavioral health problems who are involved in the corrections system. It is meant to provide a common structure for corrections and treatment system professionals to begin building truly collaborative responses to their overlapping service population. 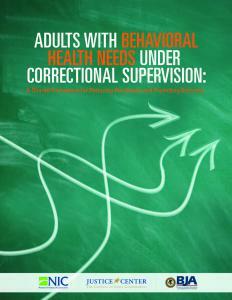 These responses include both behind-the-bars and community-based interventions. This framework is designed to achieve each system’s goals and ultimately to help millions of individuals rebuild their lives while on probation or after leaving prison or jail” (p. viii). Three parts follow an introduction regarding the need for a framework intended for coordinating services across systems: current responses to individuals with mental health and substance use disorders and corrections involvement—mental health treatment, substance abuse treatment, mental health and substance use appearing together, corrections—custody, control, and supervision, screening and assessment, the relationship between behavioral health needs and criminogenic risk/need—assembling the parts, and closing thoughts on RNR (risk-need-responsivity); the framework—strong foundations, criminogenic risk and behavior health needs, application to resource allocation and individual case responses, and goal for the framework’s use; and operationalizing the framework and next steps.